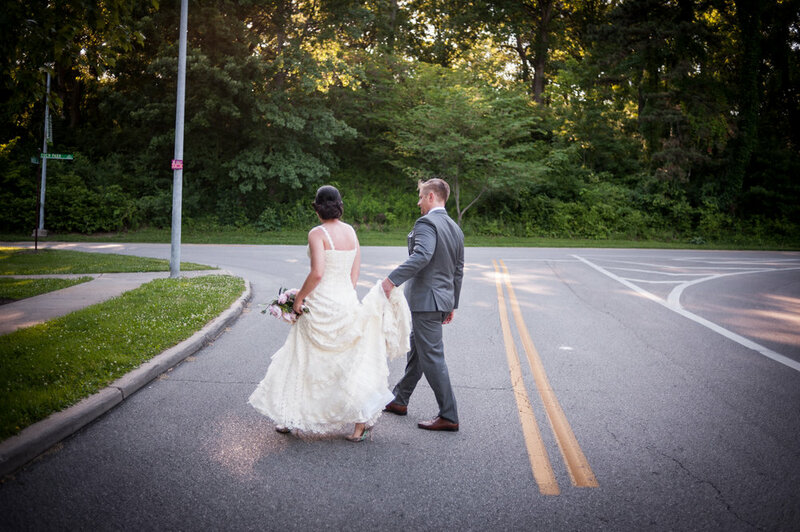 Ashley + Kevin: Eden Park Wedding! Ashley & Kevin had an intimate June evening wedding at the Eden Park gazebo in front of their closest friends and family. Luckily, the infamous Cincinnati humidity gave us a break and the weather was perfect. Beforehand, the guys chilled out at Ashley & Kevin's house and we managed to get some cute portraits of Kevin with their dogs! 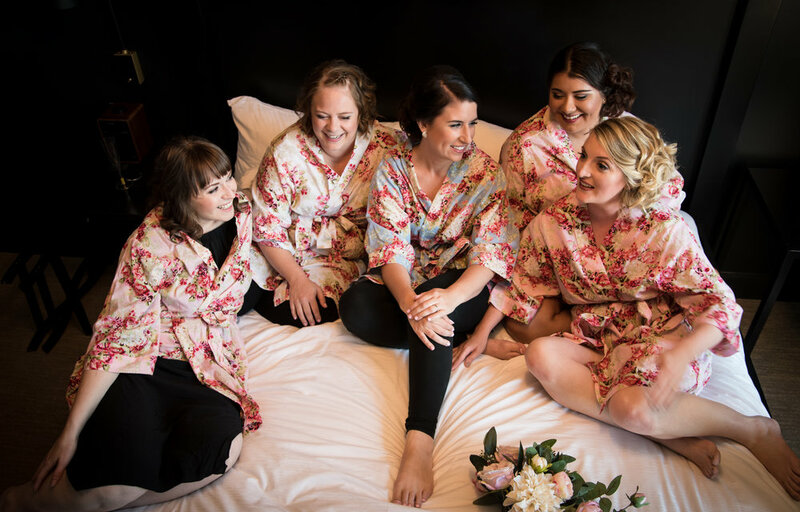 The ladies got dressed in a luxurious room at Hotel Covington that had a view of both the Queen City Building and the Ascent at Roebling Bridge. The flower girl was a little photographer – she had a blast capturing moments with a Fujifilm Instax camera! After the ceremony, we wandered up to the overlook for more portraits - had to seize that golden hour light!